Guernsey FC are still searching for their first win of the season despite coming from behind to secure a 1-1 draw against Greenwich Borough at Footes Lane. The Green Lions conceded just before the hour mark when Lewis Spence tapped in from close range. Ross Allen, back in the side for the first time this season, equalised with a powerful curling free-kick. 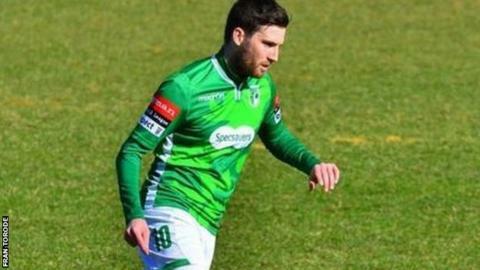 "It's a good point really," reflected Guernsey FC boss Tony Vance. "You want to win your home games but we conceded a soft goal and it took something special from Ross to get us back in it. "It was a fantastic effort by the lads to get us something out of the game." Guernsey travel to South Park next on Bank Holiday Monday.